Town Brook House was constructed under the 202/8 program of the United States Department of Housing and Urban Development. The building was dedicated on November 30, 1980. 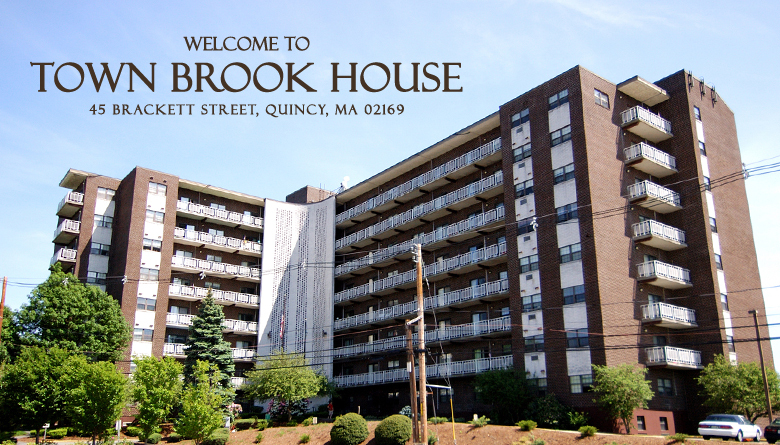 A residence for senior citizens and the disabled, this equal opportunity housing subsidized by the Section 8 Housing Assistance Program, consists of 136 one-bedroom units and 15 two-bedroom units with a common area lounge, a common activities area and kitchen. The project is one of three housing projects sponsored by Wollaston Lutheran Church They are Fenno House, Town Brook House and Bauer House. Copyright © Town Brook House. All rights reserved.